Complete with top hat & tails, Balloon Bertie is a Circus Ringmaster who has lost his circus. Not to be deterred, stilt-walker Bertie searches high & low, all the while spreading good cheer, laughs & (very) high fives! 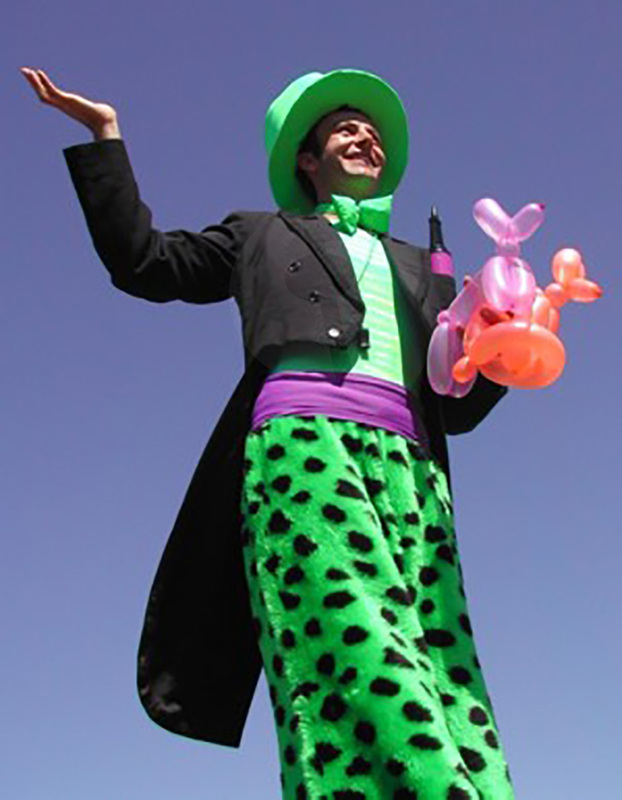 Bertie the balloon-blowing stilt-walking kids entertainer will make your next event a huge success!